This winery was unfortunately damaged in the 2017 fire. It is not currently open while they rebuild. 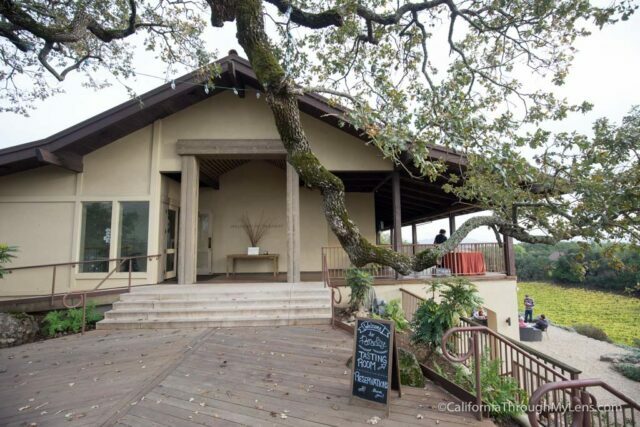 Paradise Ridge Winery is one of my favorite wineries I have visited in California. 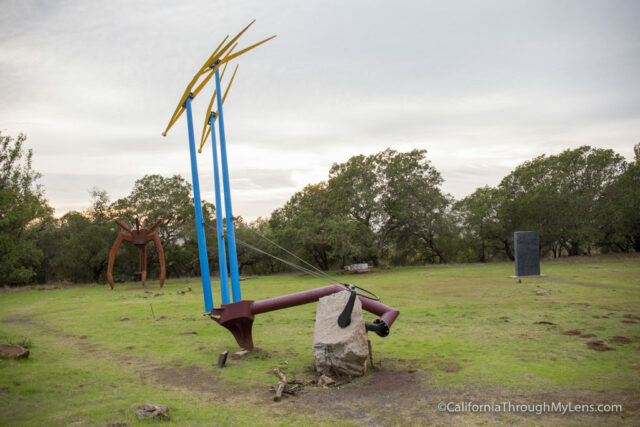 It is located on a beautiful property outside of Santa Rosa, has a full sculpture garden with dozens of massive sculptures and the tasting room sits at one of the best viewpoints in the area. 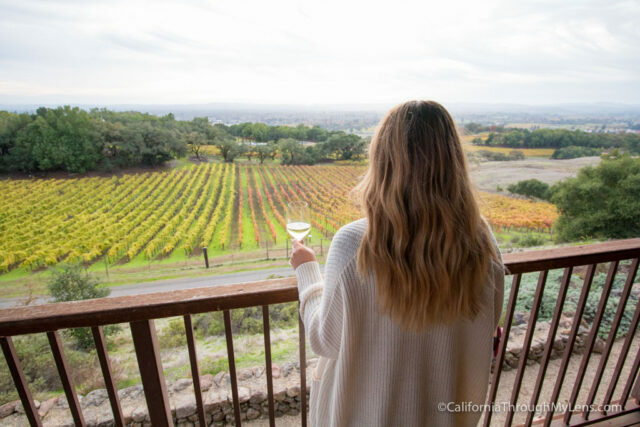 If you are visiting Santa Rosa then make sure Paradise Ridge Winery is on your list, here is all the information. Use the above address to make your way into the hills near Santa Rosa. 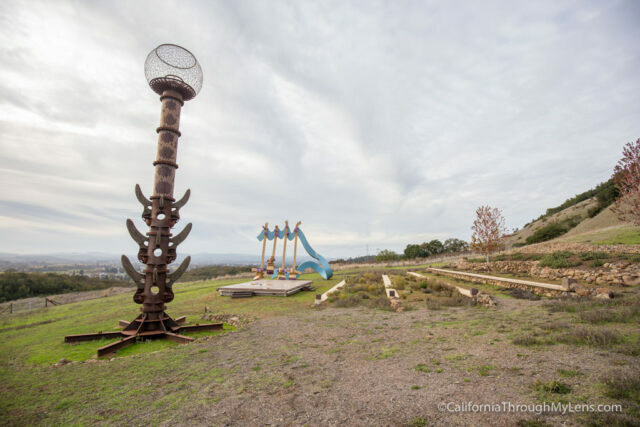 When you see the sign for the winery, you can either go to the sculpture garden, the vineyard walk or the tasting room at the top. 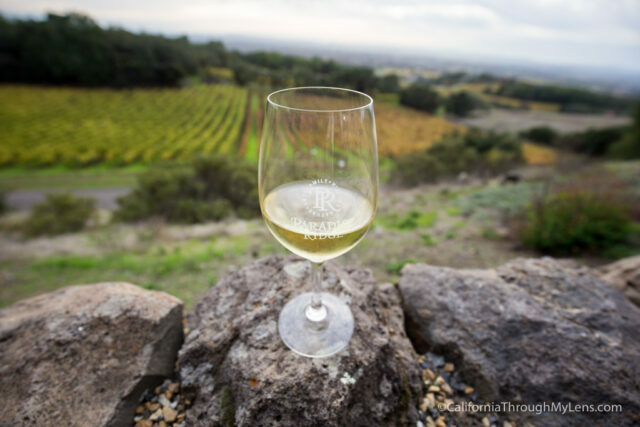 Upon getting to the property, I would recommend heading up to the tasting room first. 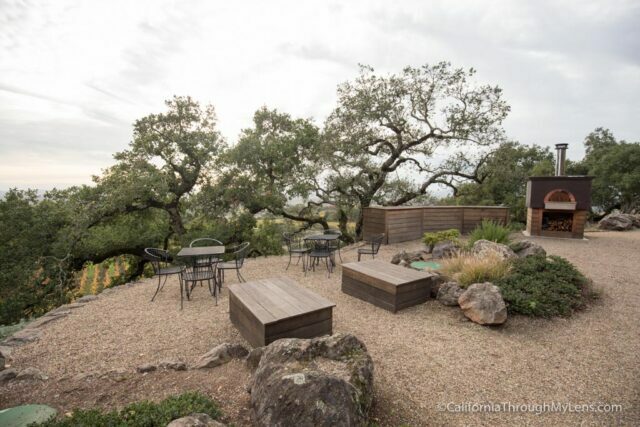 The tasting room is located at the top of the property, which is accessed via the main road that winds it way through the vineyard. This two story building has the beautiful tasting area on the first story and an area for events on the second. They were setting up for a wedding, so we got a chance to check that out as well, and it looked like an amazing place to get married. 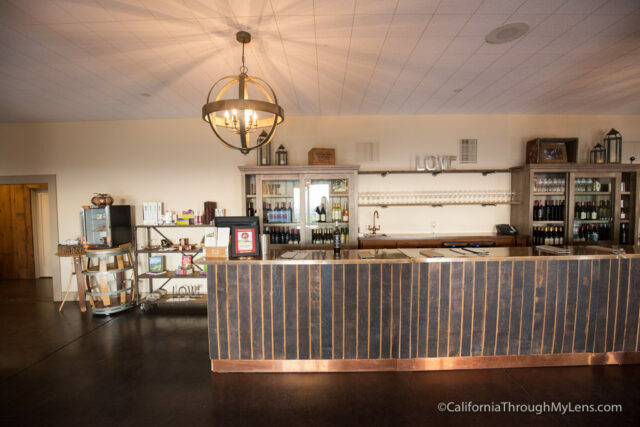 The tasting room has a large, open indoor area with a few small tables, a fireplace and a large bar for tastings. 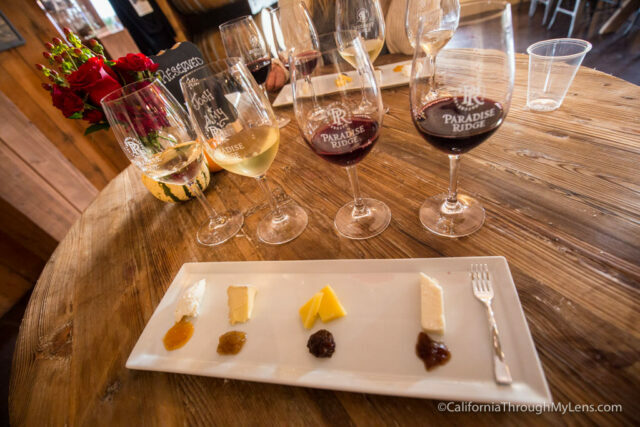 We ended up going with the wine and cheese pairing, and it was a lot of fun. They had wonderful cheeses here from all over the state, and they also included a selection of jams and cabernet soaked onions to go with them.Everything was great, and the pairings were set up so well, making the experience a lot of fun. 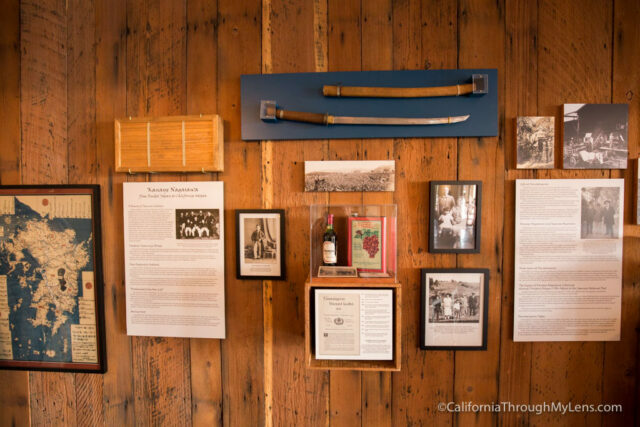 The tasting room also has an exhibit on Kanaye Nagasawa, who was one of the first Japanese winemakers in California. 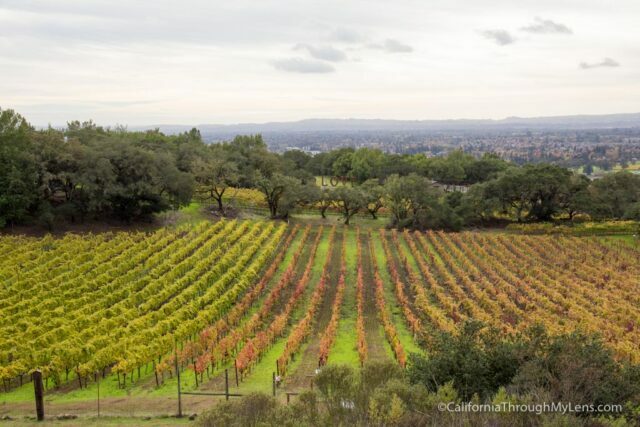 He was influential in helping to build the California wine industry that we have today. Heading outdoors there are a half dozen tables that look over the best view on the property, so you can get some cheese and a glass of wine and just go sit out here as well. During the summer months, they have a pizza oven for events that they hold on particular days. Heading out from here we went down and started looking at the sculptures. 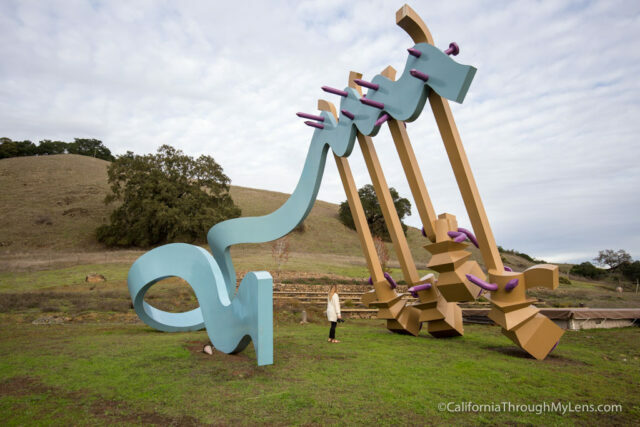 At the bend in the road, you will see your first collection of two massive sculptures. These two are both at least 50 feet tall, and it is impressive to see them sitting on the hillside. One of them is from Burning Man, and the other is from downtown San Francisco that got moved here. 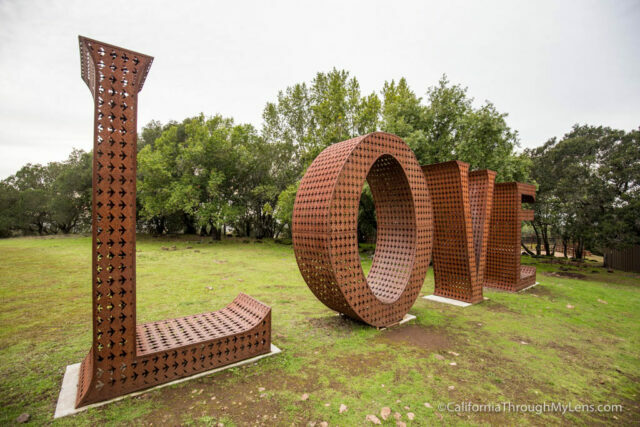 All of the sculptures, minus the “Love” one, are all for sale, but I am not sure who would have a property big enough to hold them. I know my neighbors wouldn’t be happy if I brought one home. 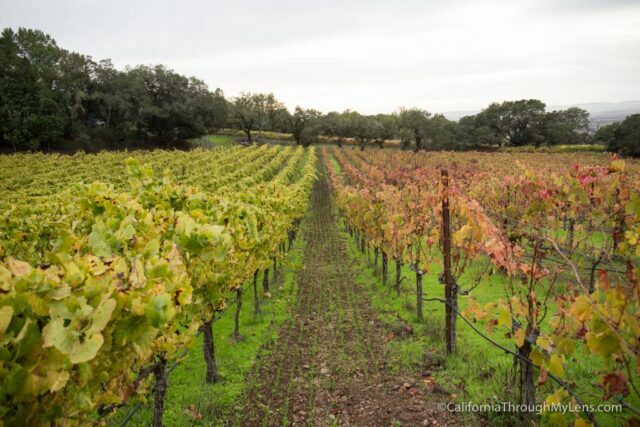 One of the great things about Paradise Ridge Winery is that they allow you to walk through their vineyards on a self-guided tour. This is impressive as their vineyards are beautiful and you usually are not able to do anything like this at most wineries. 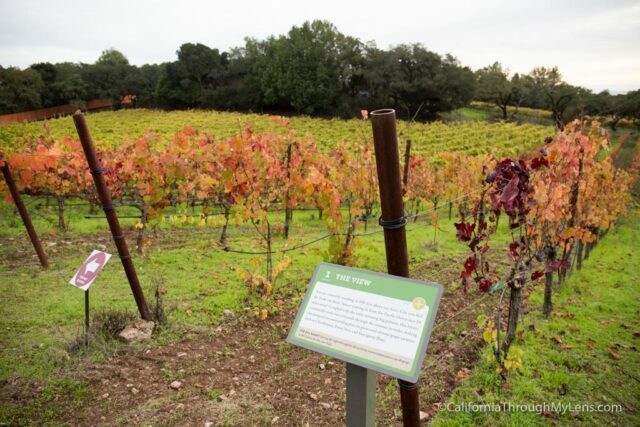 The self-guided tour takes you around the vines and has plaques that tell you about the process, etc. It is a lot of fun. From here you will make it to the central sculpture area. It was late in the day when I went, so we didn’t get to see all of the sculptures on the property; I believe they have over 30. The ones we did see though were impressive. 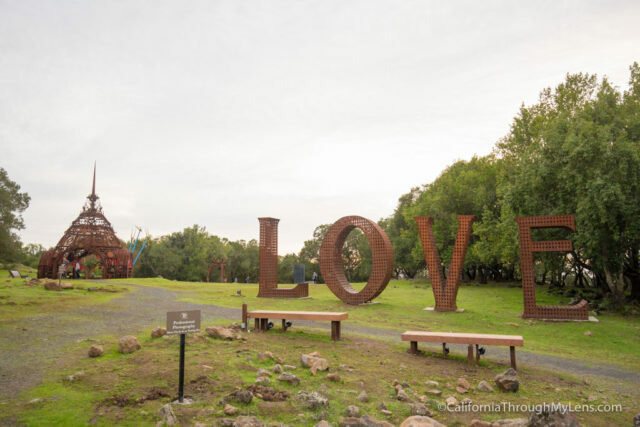 The first was the giant Love sign. This is another sculpture from Burning Man, and the metal design was stamped with birds, which made for a unique look up close. 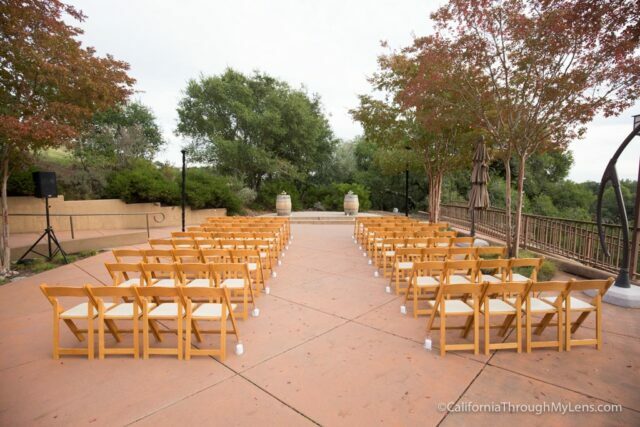 You can stand on the base of the letters for photos, and it is a pretty popular area for photographers so be prepared to wait in line. In the same field, there are a few more sculptures to see as well. 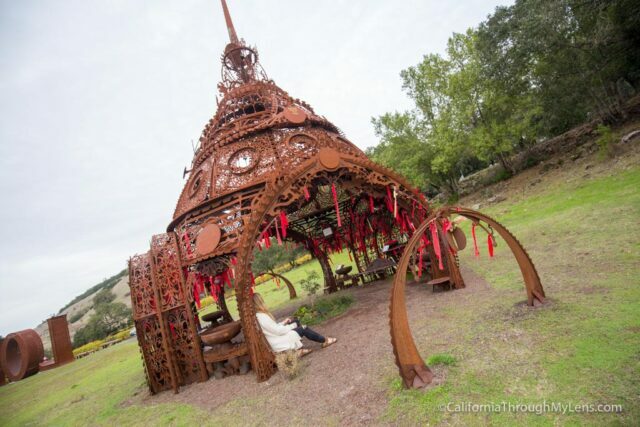 The next is the temple of remembrance which is another Burning Man sculpture. Inside you can write the names of people you have lost and tie them to the sculpture. It was beautiful in its simplicity. 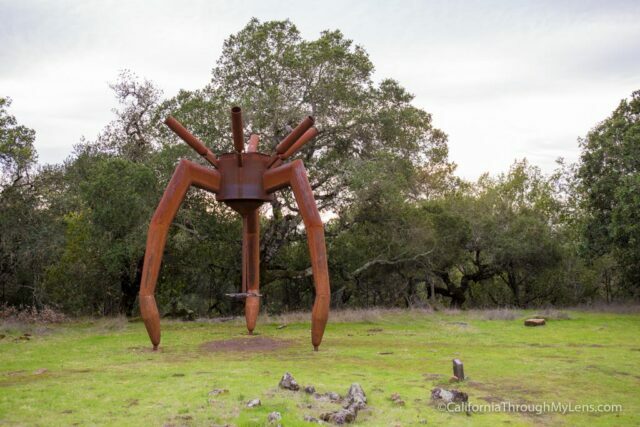 Behind that, there is a large metal sculpture which has a wheel at the base. Spinning the wheel bangs bells above so it is an interactive sculpture. There are a few more here such as a black obelisk and a couch sitting under a tree. Again this is just a few of the many sculptures here, and it is an incredibly impressive area to explore. 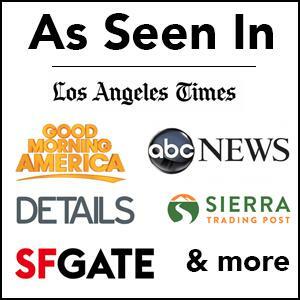 Here is a video that shows more about my time there. As you can see, Paradise Ridge pretty much rules. 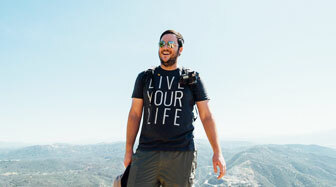 If you are into photography, wine, exploring or all of the above then you owe it to yourself to check it out. Let me know what you think in the comments below.